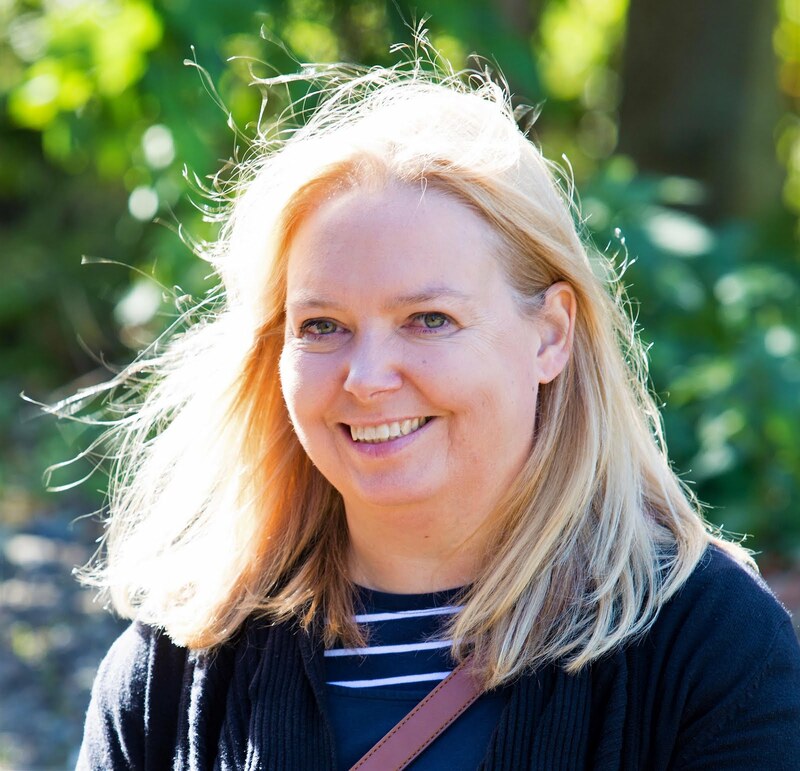 Just before the schools broke up for the summer holidays, me and hubby made the most of working from home and took ourselves out for a late lunch before picking up the boys from school. We headed to the Bear and Natural Kitchen on Heaton Road in Newcastle upon Tyne. 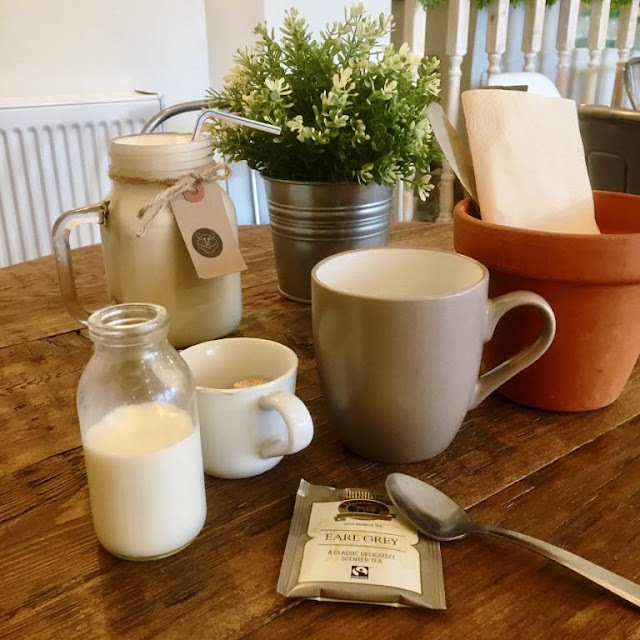 Not only is it not far from the boys' school but also a health-conscious café, run by a fully qualified nutritionist and serving up exciting healthy food and drinks. 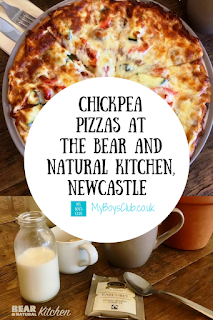 The Bear and Natural Kitchen has been open all year but we’ve only just managed to find the time to go, but I can tell you since I read about their chickpea pizzas, they have been calling me all that time! Open Monday to Friday, 8am until 5pm, and Saturdays, 10 am until 4pm, they serve breakfast, lunch and snacks that are healthy yet hearty. On the menu, you’ll find familiar foods such as breakfast dishes and pizza but these are different. They are packed with a lot more nutrition and less of what is bad for you than the usual ones. But what would they taste like? When we arrived there were just a couple of empty tables. Located on Heaton Road, a street which connects the suburbs of Byker and Heaton in Newcastle. It has doctors, dentists, the local vets, fast food outlets and a food and clothing bank for neighbours. There is free street parking around, but also close to bus stops and both Byker and Chillingham Road Metro Stations. The décor is as you may imagine very natural, cool calming fresh colours, in a wooded and natural environment. Menus are on the table and you order at the deli counter, then food is served to your table. and I chose an Earl Grey Tea (£1.20). I love how it was served in a plant pot. So sweet. I already knew I was going to try the chickpea pizza. I love chickpeas – in curry dishes, as chocolate spread, roasted with spices or in a salad – but I’d never had a pizza made out of them before. These protein pizzas are made with chickpea flour and protein powder and are completely gluten free too. Hubby also opted for a chickpea pizza so we tried two with different toppings. As you'll see each menu item is clearly labelling with the Kcals, Fat, Carbohydrates and Protein to allow you to make informed choices of what to eat too. and a Vegetarian with seasonal local vegetables (£5.50). Both have just 450 Kcals, 42g Protein, 24g Fat, and 14g Carbs. 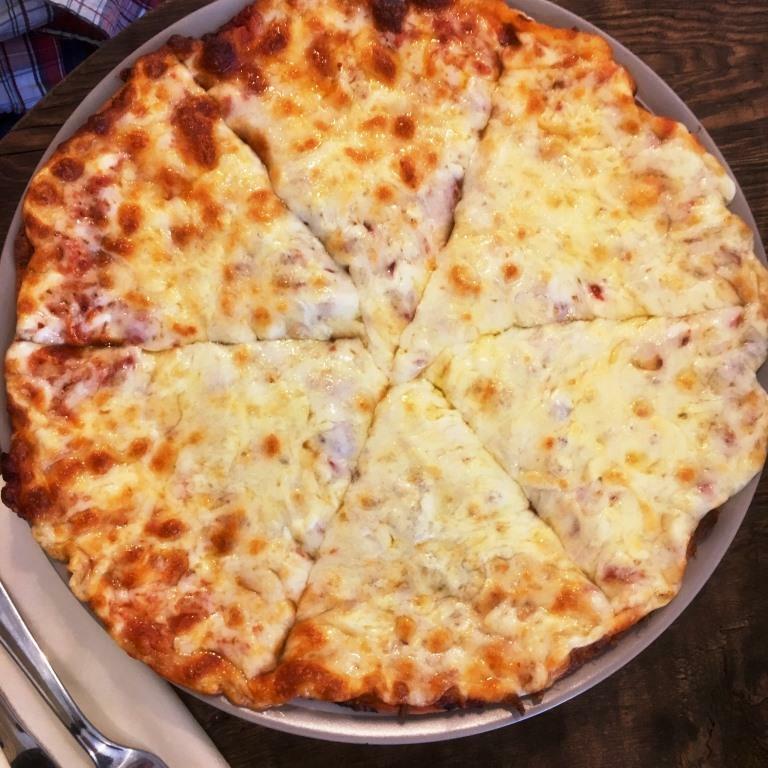 You can also get non-veggie toppings too. When the pizzas arrived, piping hot, they didn’t look too big. They looked and smelt delicious and we began to eat. You can taste the chickpea base but as I love them this was no problem for me. In fact, it gave them a nutty taste and texture. There was no skimping on the topping either both filled right to the edge. 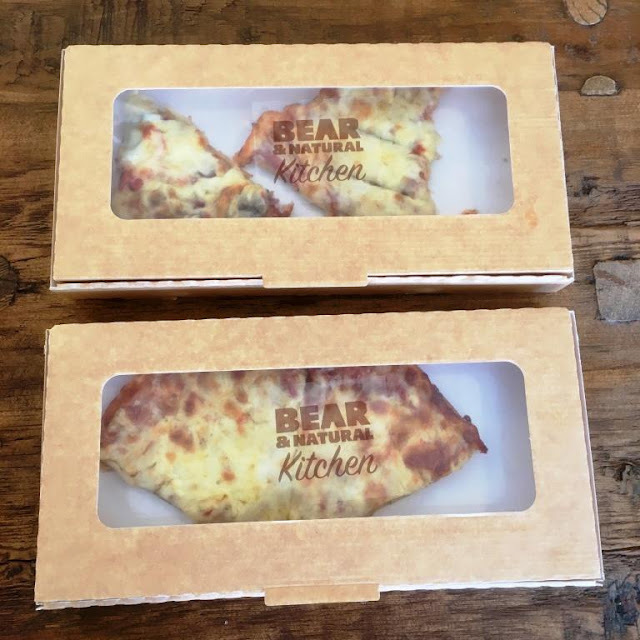 One pizza between us though would probably have been sufficient, however, the owners at Bear and Natural Kitchen kindly boxed up what we couldn’t manage and we took it home and shared with the boys after school – they loved it too. Bear and Natural Kitchen was a hit. We will definitely be back. 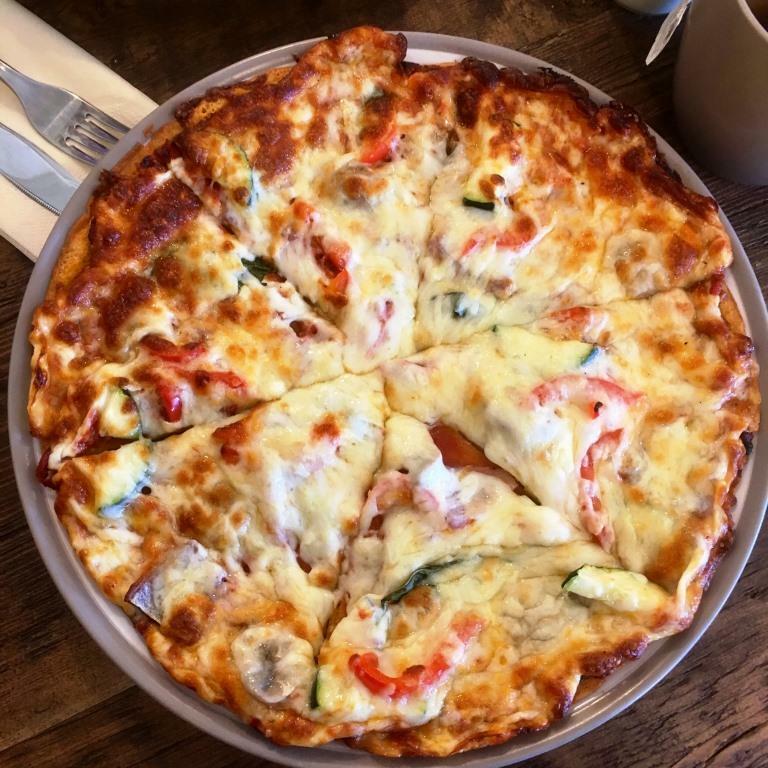 The pizzas are delicious but with so many other tasty sounding healthy dishes on the menu, it will make the dish selection really difficult. oooh i would love to try the vanilla milkshake! I bet that was lush! The food looks great too! They're not bad prices for pizzas. 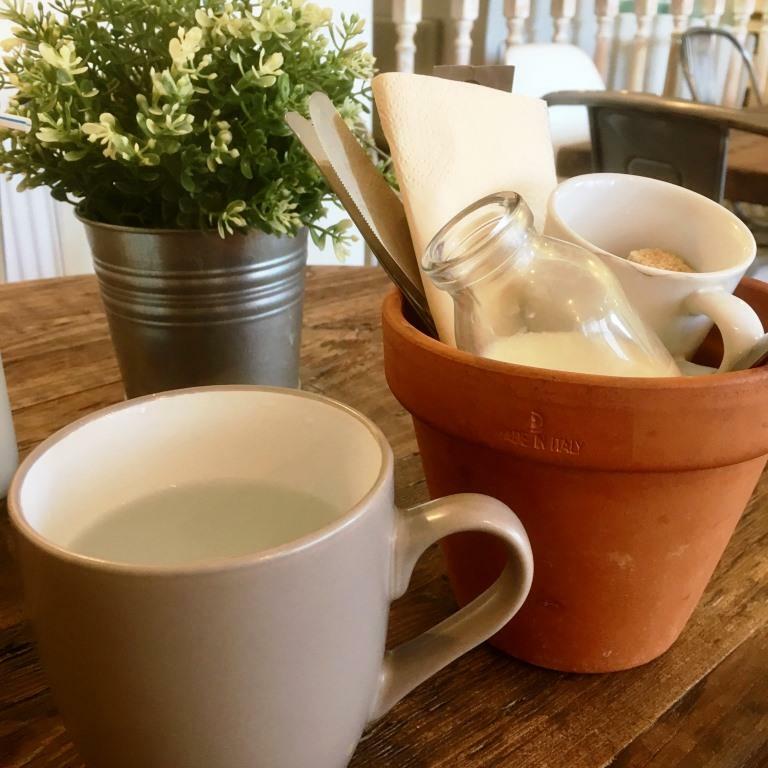 Loving the tea served in the plant pot too! 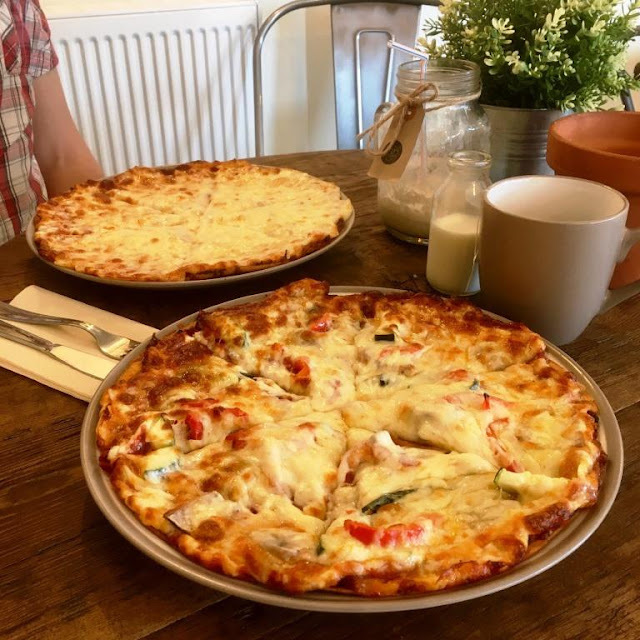 Those pizzas look amazing, as does the vegan milkshake! I used to live on Heaton Road. 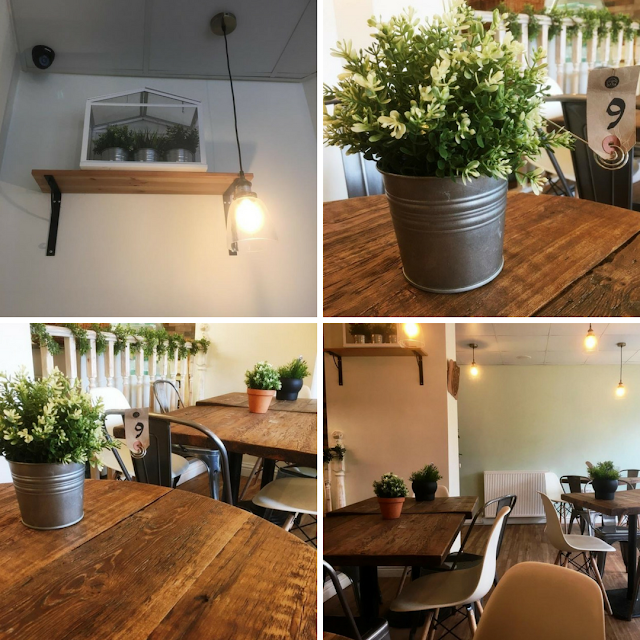 They have some great healthy restaurants in Heaton these days. This is right up my street. 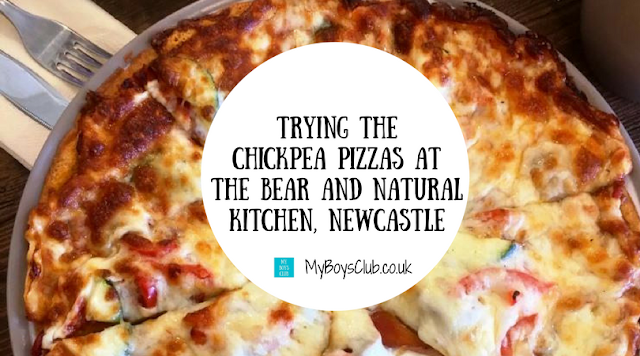 I am not a fan of chickpeas but I am a fan of pizza so that looks lovely to me! !